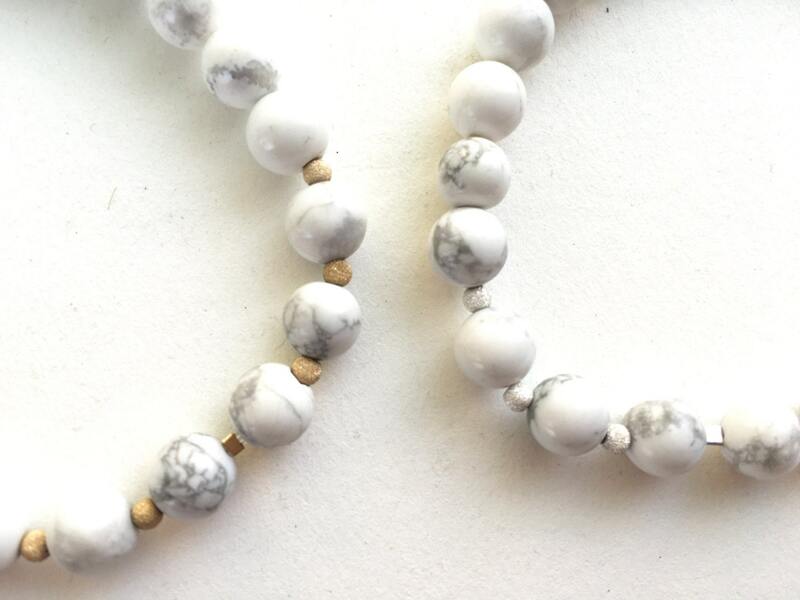 Howlite is a calming stone. It also encourages awareness, opening the mind to what surrounds the wearer. 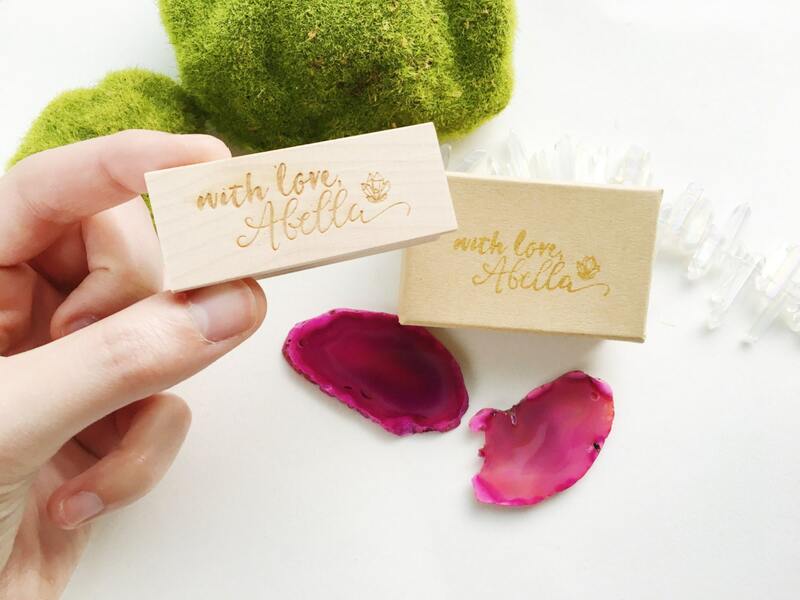 Wear this bracelet as a reminder to let go of what weighs you down, and to fall in love with the world around you. Howlite is a beautiful stone, white with a gorgeous grey veining. 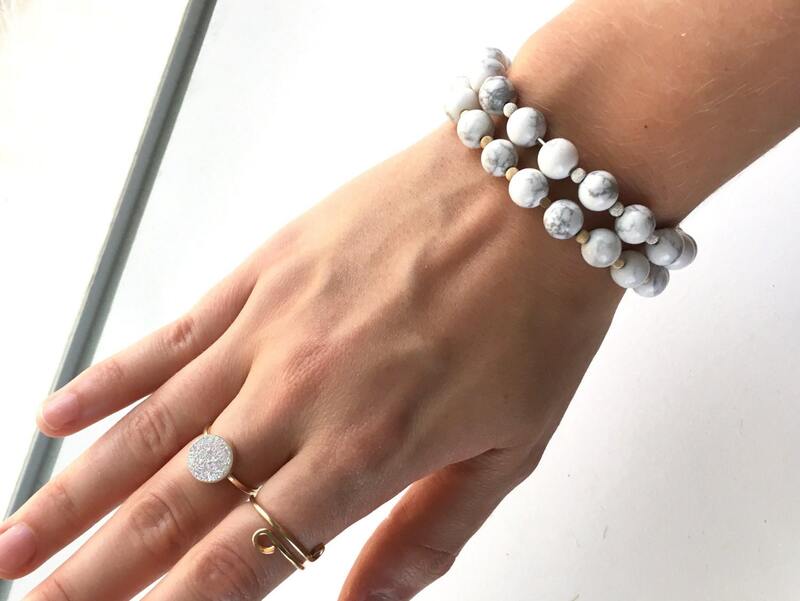 The front of the bracelet is adorned with a sterling silver or 14k gold filled bead between each howlite bead. These metal beads are stunning as they sparkle in the light. 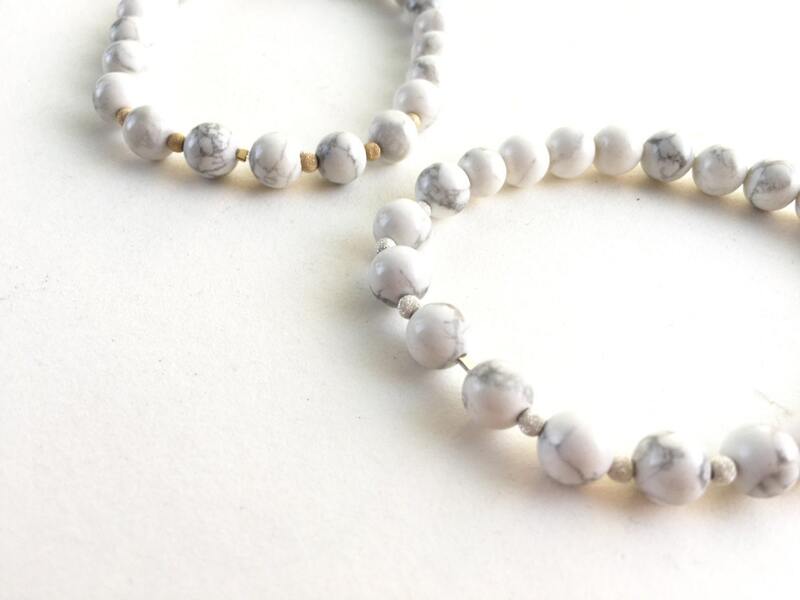 The howlite and metal beads create a beautiful juxtaposition of elegant and simple. 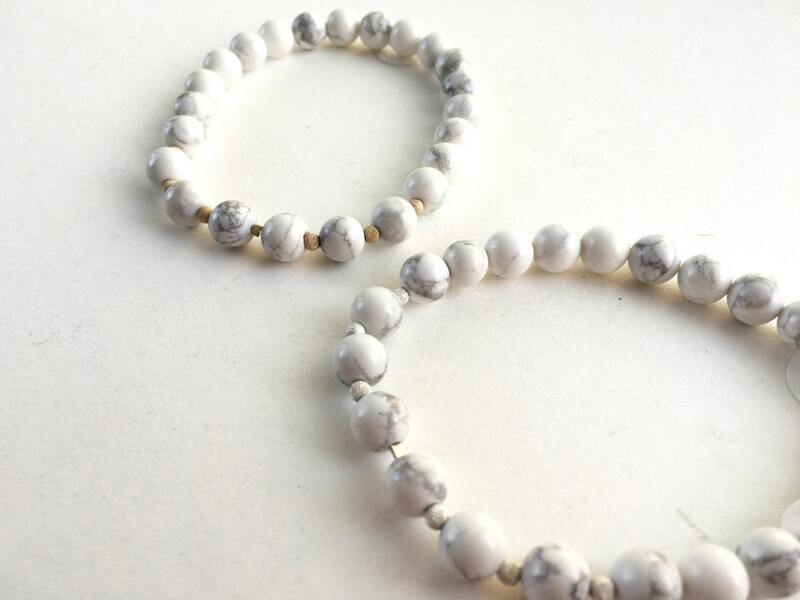 *this listing is for one howlite bracelet, variation shown in pictures above.